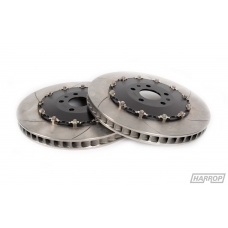 Developed on B7 RS4 and B8 S5 models with factory Brembo RS brakes, this larger slotted rotor uses a Harrop made rotor assembly incorporates a bobbin drive system and will satisfy the needs of serious street and track enthusiasts. 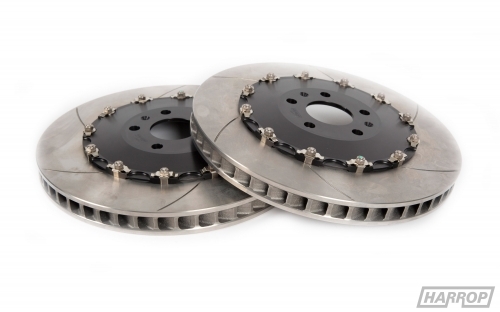 Utilising race-bred Harrop design and construction techniques these kits provide increased braking performance through larger diameter rotors and has been Independently tested with a 100 - 0 km/h stopping distance of less than 34m. This is a highly recommended upgrade for your Audi and a direct replacement for the RS4 or RS5. 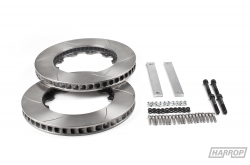 Rotor comes with 6 straight slots as standard with optional slotting available at additional charge and delivery time.